Hi there! 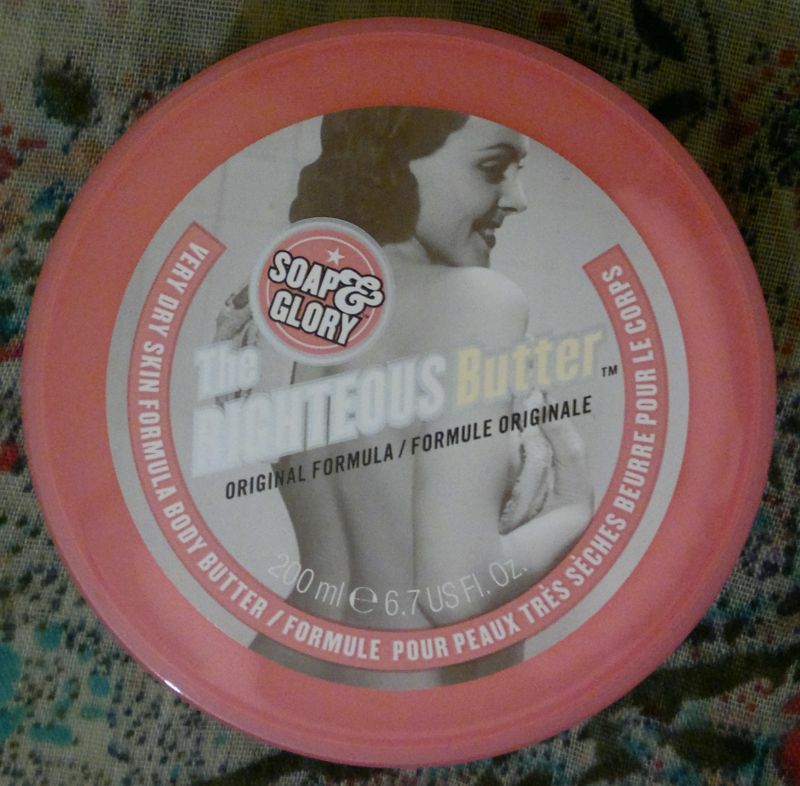 Today’s post is about Soap & Glory‘s The Righteous Butter which is aimed at women with dry to very dry skin. On the side of the tub it reads “a body moisturizing formula so virtuous, you might swear you’re wearing velvet”. Soap and Glory also went to great lengths to describe the fragrance – apparently it’s a mix of leafy greens, bergamot, mandarin, fruity and floral notes, as well as musk, oakmoss, amber and woody notes. 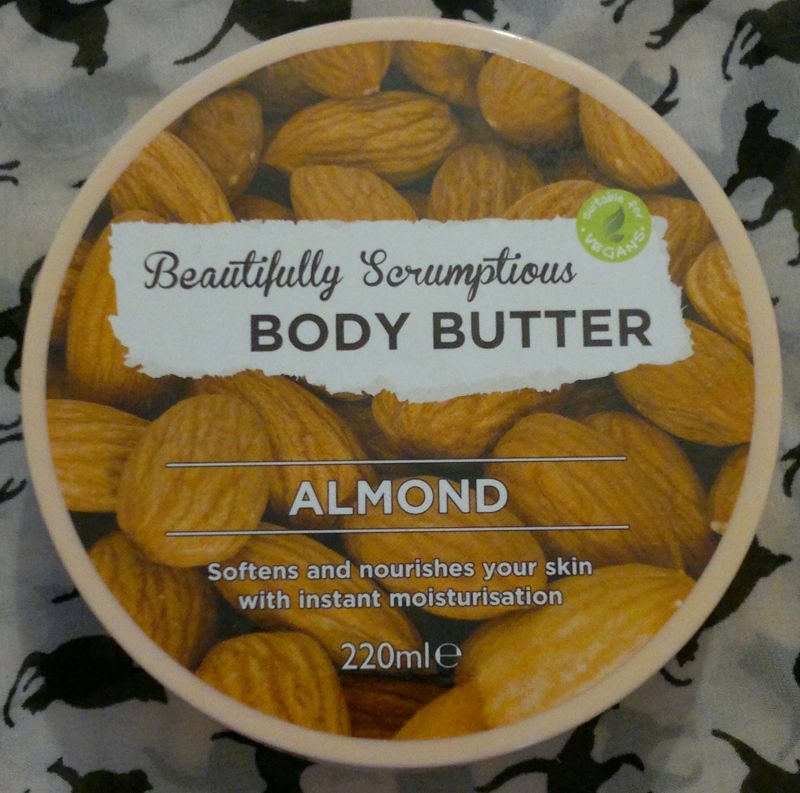 I’ve been using this body butter for a week now, and I think it’s good but not great. I like the formula. It’s easy to spread, and it absorbs quickly (great for when you’re in a hurry). It hydrates my skin reasonably well without feeling sticky. And a look at the bottom of the tub reveals that this body butter contains quality ingredients like shea butter, coconut oil and cocoa seed butter. Having said that, there are many other body butters (lotions even) which hydrate skin much better and which cost a lot less. 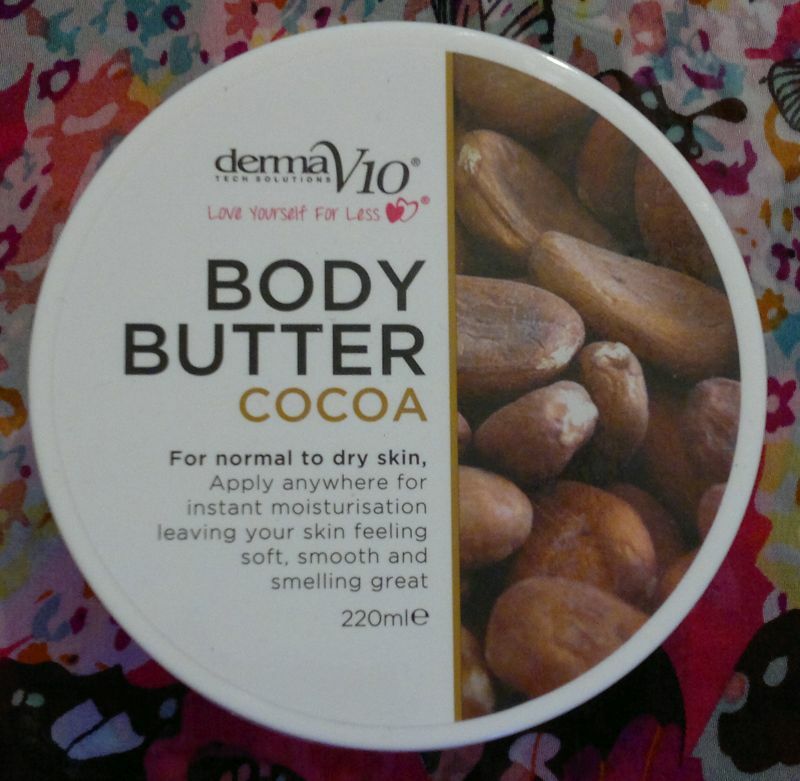 As someone who actually has very dry skin, I have to say that this body butter is nothing special. I also don’t care for the fragrance. It’s a nice enough but forgettable girly pink fragrance. I think it smells like aloe, watermelon and candy floss. It’s not a bad fragrance, but it’s rather unspectacular. Soap & Glory‘s The Righteous Butter is available as 50ml for £3 and 300ml for £10. 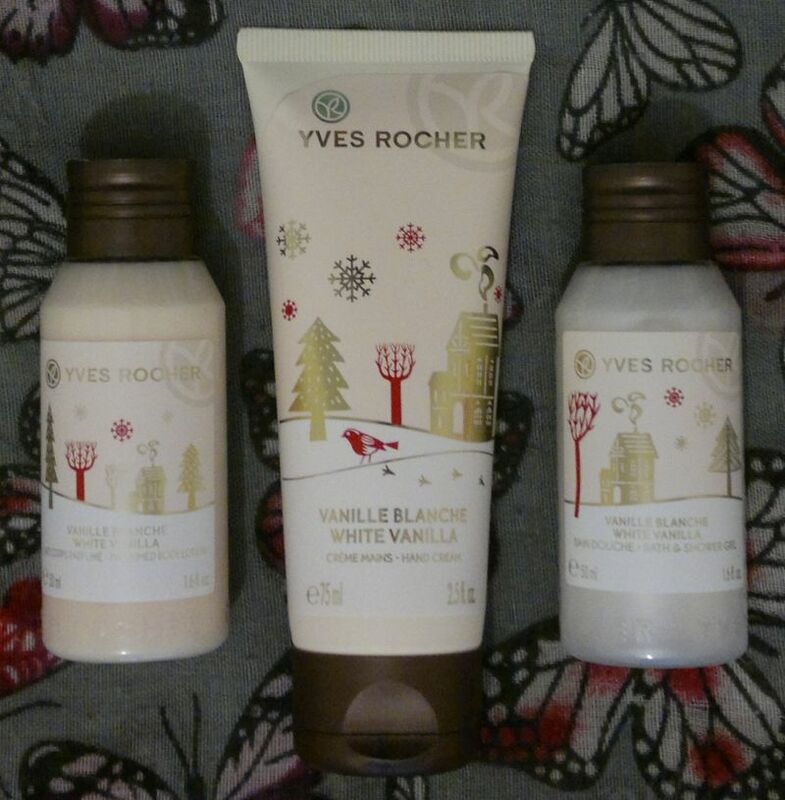 I have a 200ml tub which is a special size they did for their Christmas gift sets. Hi there! 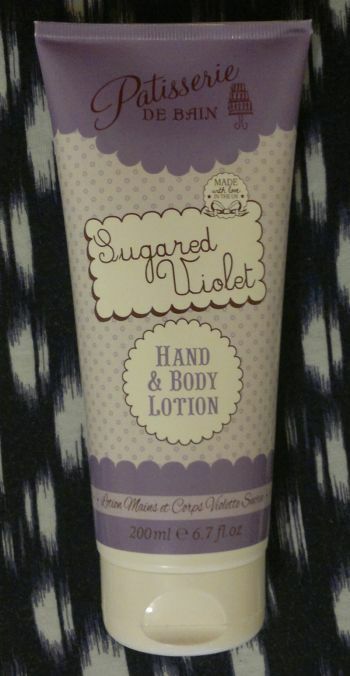 Today’s post is about this Patisserie De Bain Sugared Violet Hand & Body Lotion. 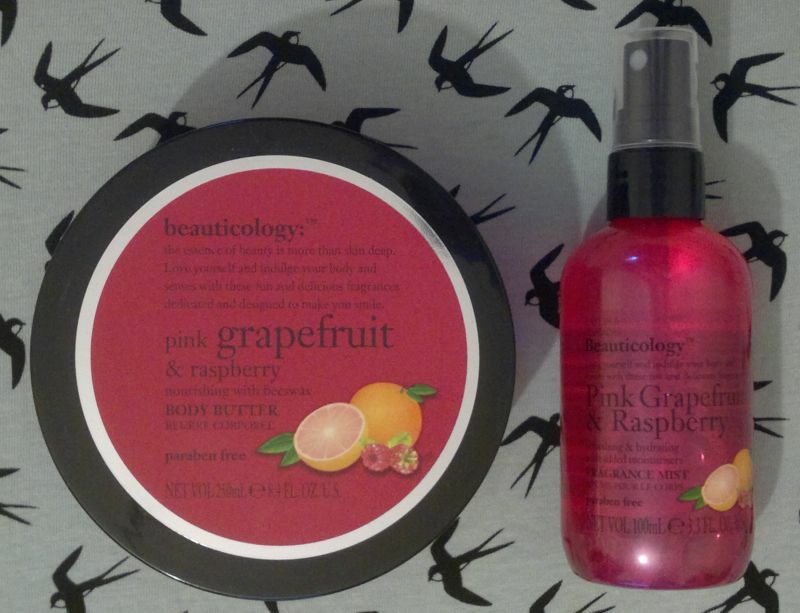 This body lotion smells of sugared violets. However, the fragrance is rather synthetic. It’s not bad, but it’s simply not credible as a semi-genuine foody scent. Whilst I think that this body lotion is easy to spread and that it sinks into the skin quickly, I don’t think that it’s particulary moisturising. I would say that it’s good enough for “maintenance” and for when you’re in a hurry (early morning starts), but if you have dry skin, this body lotion is just not good enough. I will finish this body lotion, but I wouldn’t repurchase it. Patisserie De Bain Sugared Violet Hand & Body Lotion is available as 200ml for £4.99. I paid £1 (Poundland).